I'm sure you've heard all the hype about the new foundation to hit the high street! 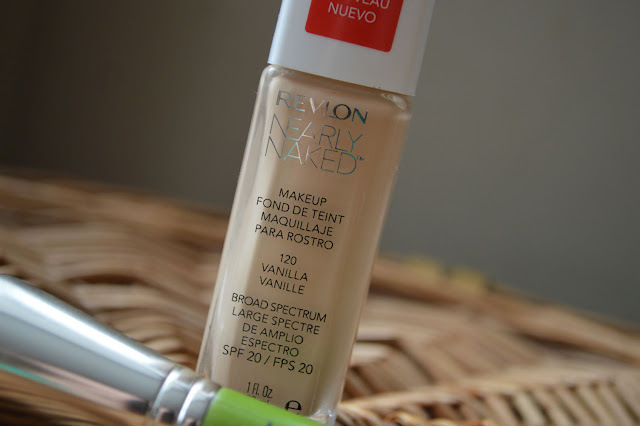 Revlon Nearly Naked Foundation, If you haven't you need to grab a cuppa and take a seat. Revlon have recently launched a new foundation and matching pressed powder, designed to feel lightweight and very natural. I'm not going to beat around the bush here, I'm a huge fan! Even after the first application I couldn't believe how natural it looked on the skin whilst still delivering a nice coverage. I had redness and an old blemish which was just in the last stages of healing and both these where covered up nicely. I always start in the centre of the face and blend outwards, paying extra attention to areas which may need a little extra coverage. 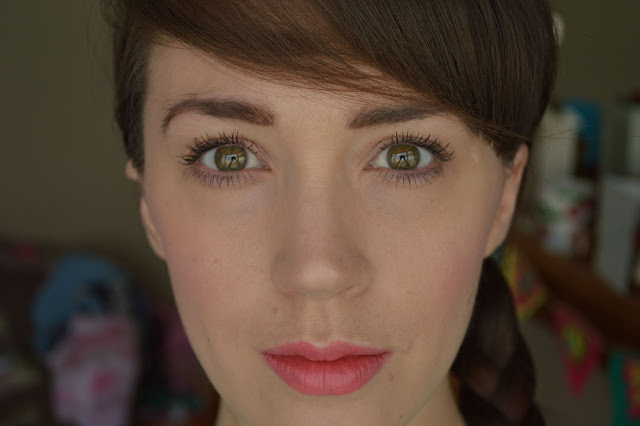 Because the foundation is so light and blendable you can build up the coverage and it wont look cakey. I was surprised to learn that the foundation also has staying power, don't be fooled like I was and think because it's lightweight it wont last but it did! The shade is 120 Vanilla is perfect for me at the moment, I predict during the summer when or should I say IF I get a tan I could probably go up a shade.The shade selection is good, comprising of 10 shades. I use my bdellium Tools brush for applying this, but I'm keen to try my Real Techniques Buffing Brush next time. I'm not a fan of the screw top lid, It's a bit of a pain when it comes to opening and closing. Thankfully because it's such a good foundation I can overlook this. 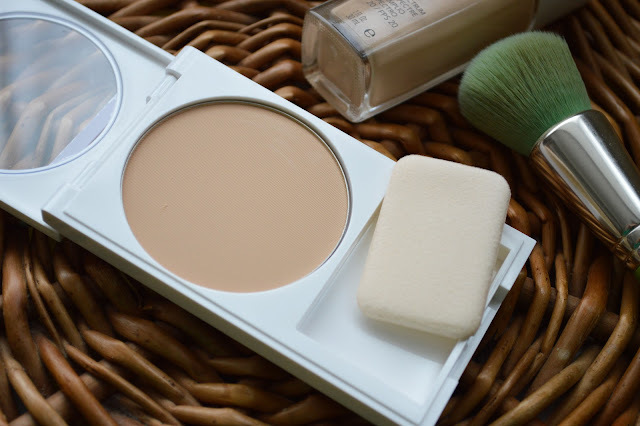 I tend to get an oily t-zone mid-afternoon so a little sweeping of the pressed powder over certain areas seals the foundation helping it not slide off. The Nearly Naked Pressed Powder is in a nice slimline compact with it's own mirror and applicator sponge. I like to use a large fluffy powder brush to apply powder for a lighter softer look. The packaging is great, it may be on the larger side but thanks it's slimness it fits/slots nicely into a makeup bag! 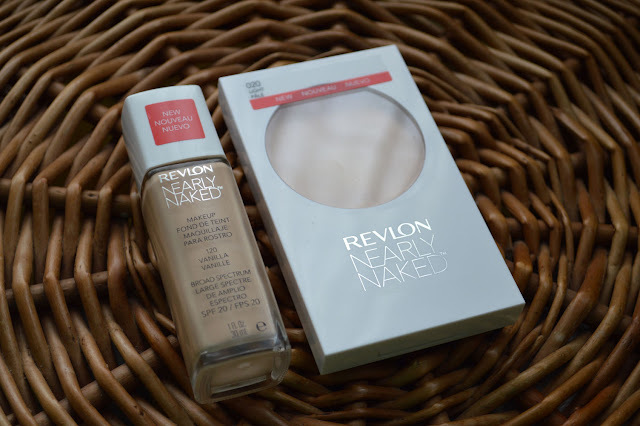 Will you be trying the new Revlon Nearly Naked makeup?